“Secure Your Health” is our umbrella offering driven by the emerging awareness about wellness. About preserving health to last as long as one’s life. 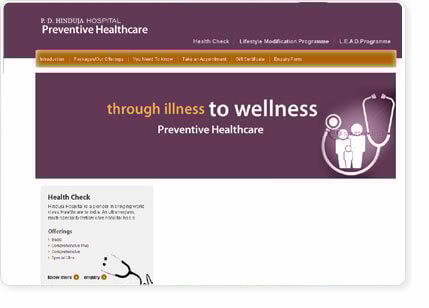 Each of the dimensions of wellness are comprehensively covered through our Health Checkup programmes for Corporates. As an old adage goes “You can only go as long and as fast as you body can take you”.